Just when you thought the bubble tea trend has reached its plateau, a new competitor has emerged! A sister company to R&B Tea, Supertea is here to join the rat race. 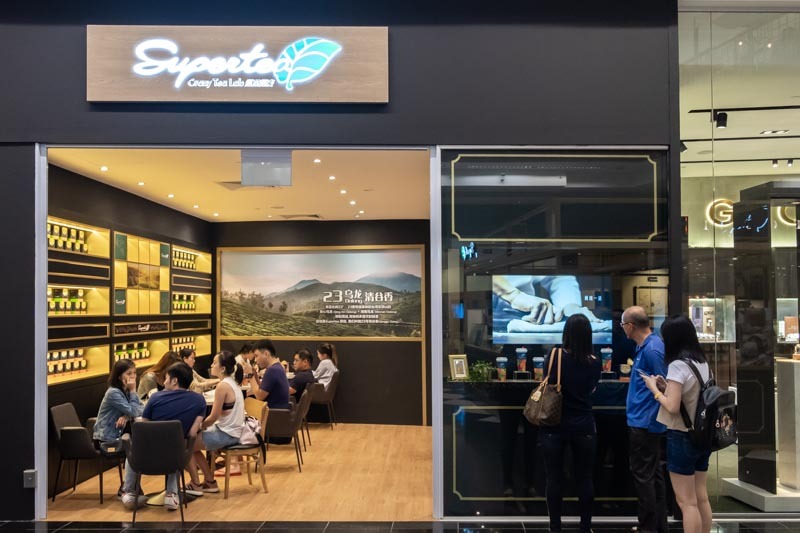 Selling a variety of drinks and desserts such as milk teas, fruits teas, and the recent 脏脏包 (dirty bun), this open-concept store in Millenia Walk is where sugar-lovers can congregate. 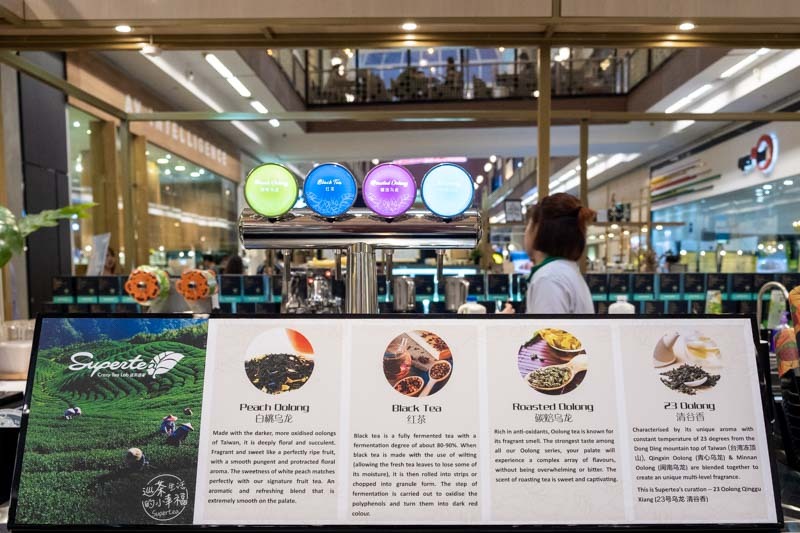 Selling bubble tea that hails from Taiwan, Supertea offers four different milk-tea flavours (Peach Oolong, Black Tea, Roasted Oolong, and their signature 23 Oolong) to satisfy even the pickiest of drinkers. You can choose from this assortment depending on the drinks you buy. The four different tea blends are brewed, chilled, and then stored in kegs to ensure a constant optimum temperature for consumption. Talk about being meticulous! While there are seats for customers to rest and enjoy the food, the only downside is that seating is limited. On a plus side, the seats are spaced out and it gives customers some personal space to interact. Supertea sells the now famous Zang Zang Bao脏脏包 ($4.50), which literally means “dirty-dirty bun” in Chinese. There are four different flavours to choose from Milk-Tea Custard Cream, Chocolate, Matcha, and Milo. 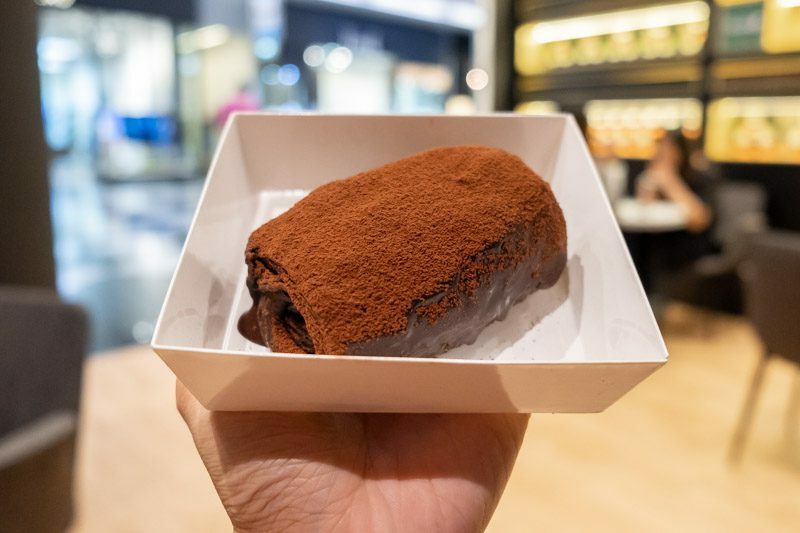 We tried the Chocolate Goody Bun ($4.50), which is one of their best sellers. 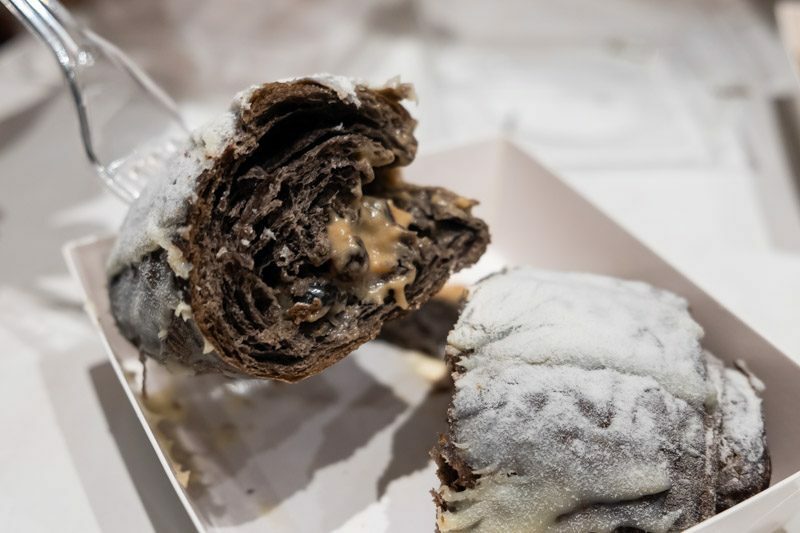 The bun is covered with a dark chocolate coating, followed by a sprinkle of cocoa powder on the top. Remember not to inhale while you eat to prevent choking on the powder! Eat the buns with your hands for the full messy experience of eating the dirty bun! Otherwise, you can still use a fork. Breaking apart the bun revealed the glorious molten dark chocolate sauce, which immediately made my mouth water. While the bun was a little tough for my liking, the dark chocolate sauce made up for that. A well-balanced taste of bitterness and sweetness filled my mouth as I chewed. Even after finishing the bun, the dark chocolate aftertaste was still prominent. 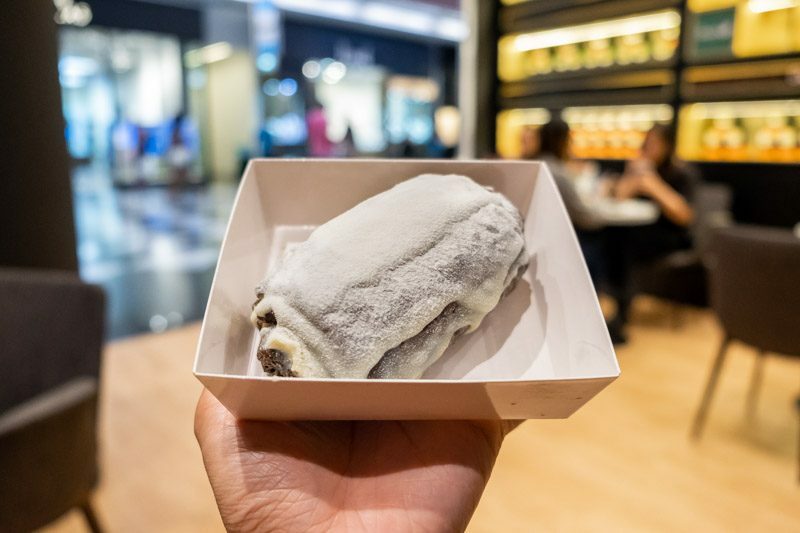 The Milk-Tea Custard Cream Goody Bun ($4.80) features a milk tea filling and is covered with sugar frosting and powder. 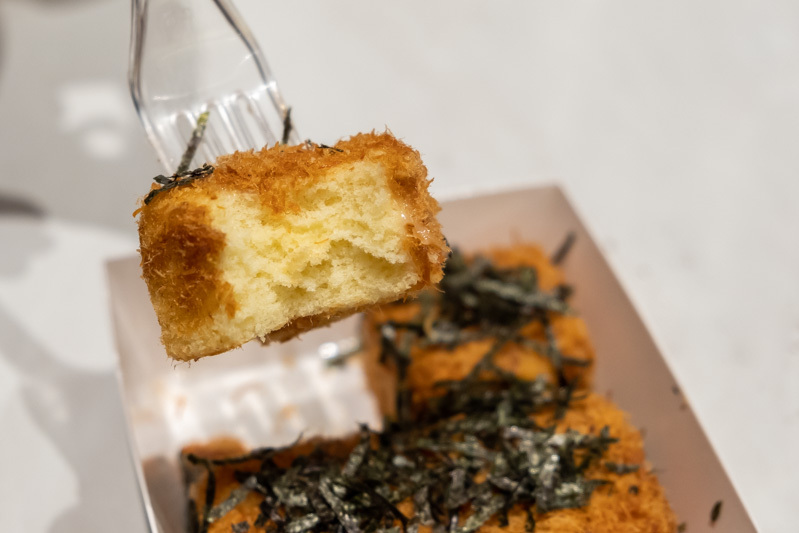 Look out for the hidden surprise buried within the bun when you bite into it! If you look closely, you can see several tiny balls. That’s right, pearls are no longer just found in bubble teas; they’re also here in this bun. The custard had a strong tea aroma and taste. While the milk-tea custard was rich and creamy, it wasn’t too heavy on the taste buds. This is definitely a memorable bun, because who would’ve expected pearls in your bun? 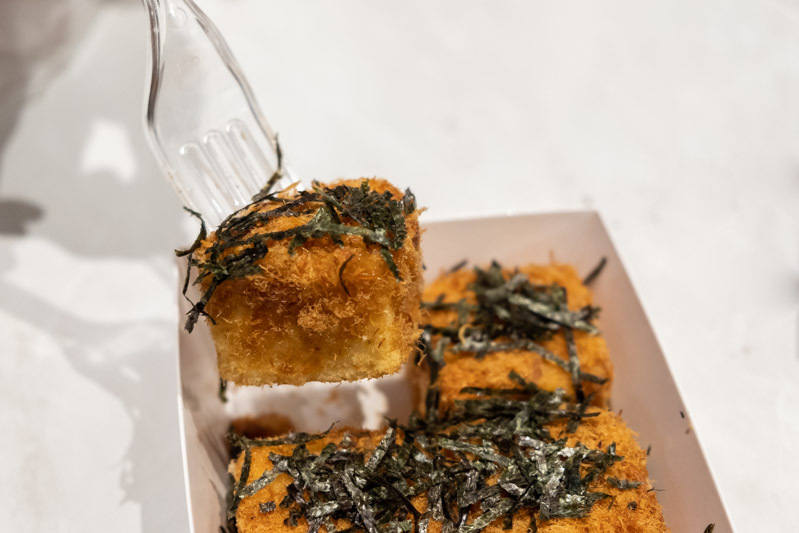 If you prefer something more savoury, why not try the Chicken Floss Sponge Cake ($3.20)? I was intrigued by its unique combination, so I decided to give it a try. Biting into it made me realise how well both the chicken floss and the sponge cake complemented each other. 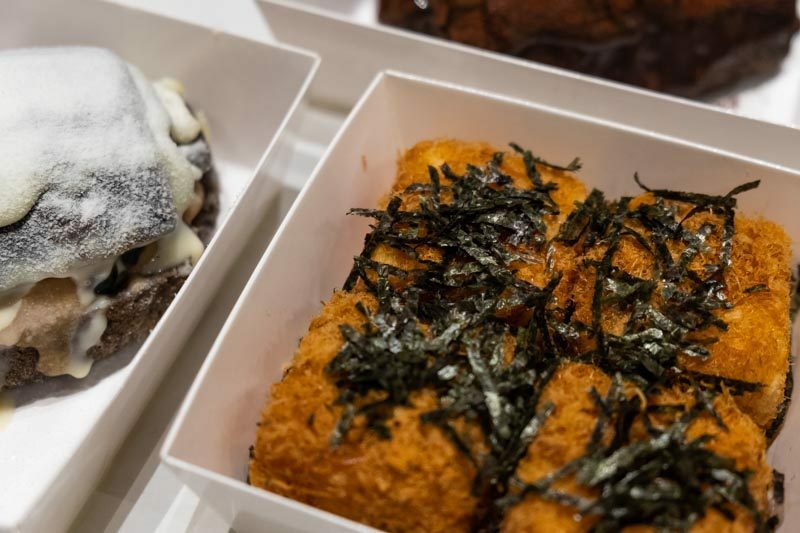 I first tasted the seaweed, then the saltiness of the chicken floss kicks in, followed by the sweetness of the sponge cake. What I love about this was how soft and moist the sponge cake was. 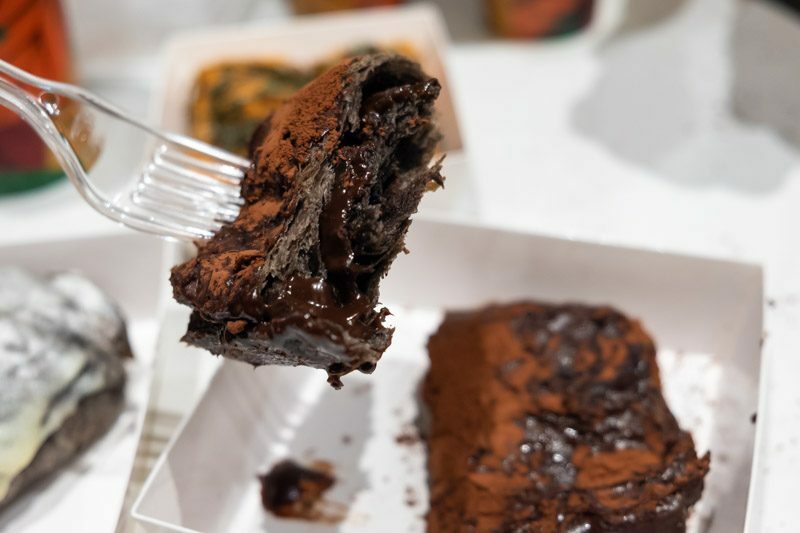 I initially thought this dessert is going to be dry, but I thoroughly enjoyed this salty-sweet treat. 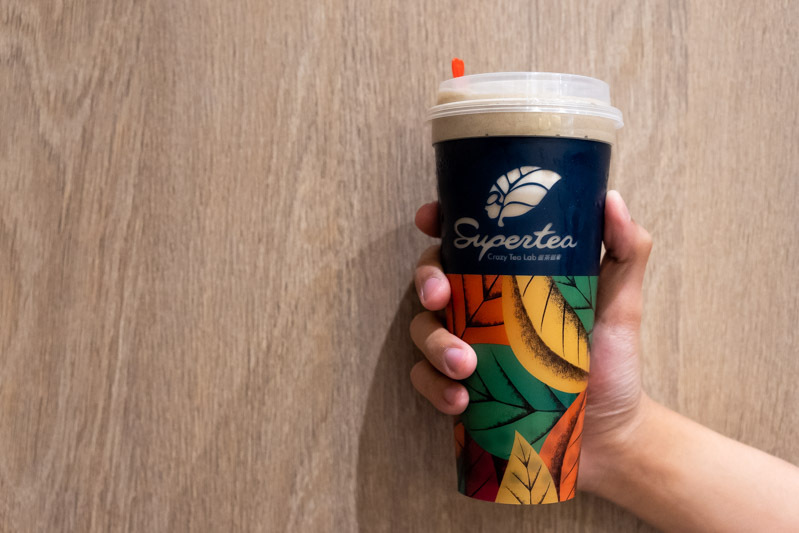 How can we try out Supertea without talking about their tea? We tried two of their best sellers, the Blossom Pineapple ($4.80) and the Rich Machiaato Fresh Milk Tea ($4.60 for medium, $5.30 for large). The Rich Machiaato Fresh Milk Tea had two layers of foam, namely a cheese foam and a tea cream foam. On my first sip, I couldn’t tell that it was actually the cheese and tea foam. 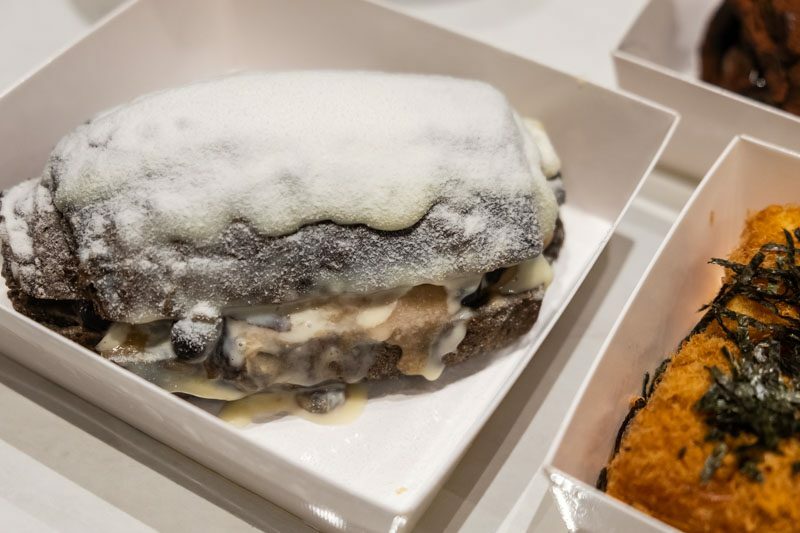 Maybe if just one layer of foam was used, the taste would stand out more. With the Roasted Oolong as the tea base, the flavour stood out clearly. There was a distinct yet pleasant roasted aroma that filled my mouth. With every sip, the fragrance of the Roasted Oolong tea base filled my mouth, slowly dissipating. 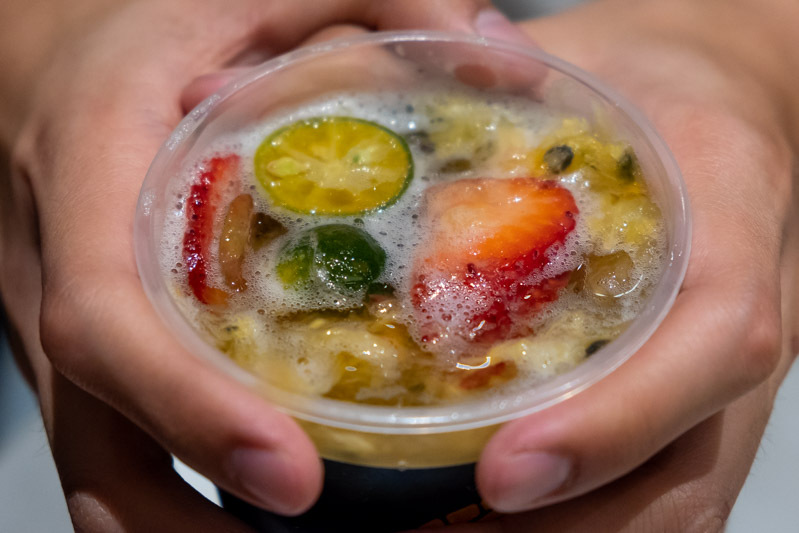 To end off, we tried the Blossom Pineapple, which contains pineapple, passion fruit, strawberries, and lime. This refreshing treat was my favourite drink. The fruits were hand-crushed upon ordering. Accompanied by the Peach Oolong tea base, this drink was very light on the taste buds. With every sip I took, I got to enjoy the fragrance of the Peach Oolong tea, and the fresh fruits as well. It was a sweet and pleasant treat that satisfied my sweet tooth. I can safely say that Supertea was super nice and super worth it! 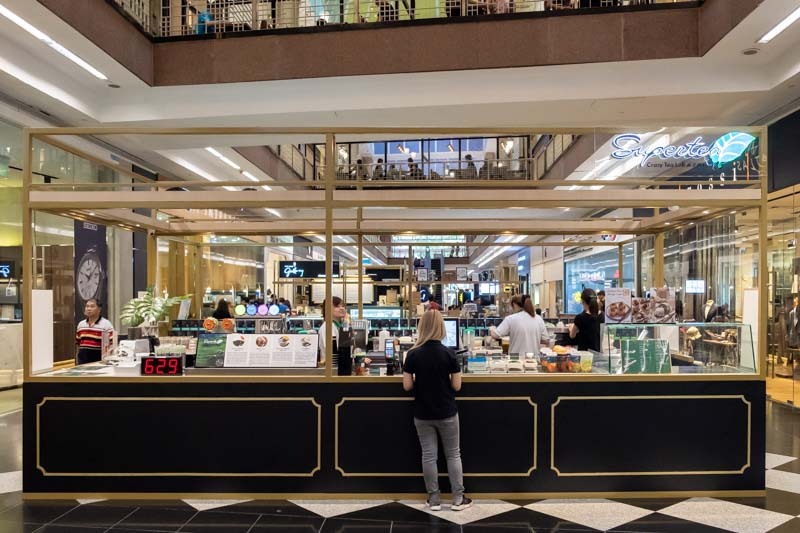 From the reasonably priced menu, to the mouth-watering buns, and the wide selection of teas, you might have a hard time picking something to try. You can also look forward to their upcoming Premium “Hand Pressed” Tea Blends which features premium tea leaves.